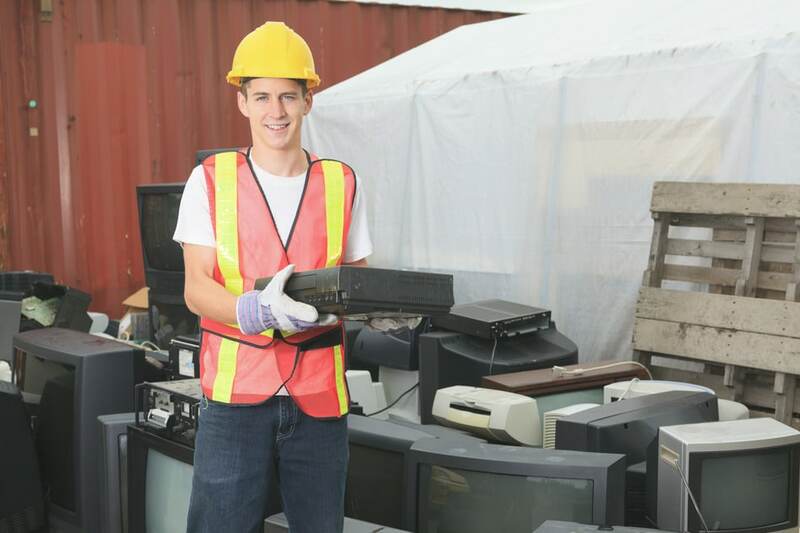 SEAM primarily provides electronics recycling services to businesses in the Sioux Falls area but also accepts residential drop offs for electronics recycling from the surrounding area. We direct Sioux Falls residents to the Sioux Falls Household Hazardous Waste (HHW) facility to recycle electronics for FREE and avoid processing fees (see details below). For information, visit their website or call them at (605) 367-8695. Fees: We accept computer towers and laptops free of charge. For other equipment or materials that require special handling like CRT monitors or TVs, there is a per pound processing fee. Not Accepted: Large Appliances (stoves, washers, and dryers), Explosives (fire arms, ammunition, shells), Fuel and Gasoline (grease, oil, propane tanks), Radioactive Materials (x-ray machine heads, smoke & carbon monoxide detectors), Freon Containing Devices (refrigerators, air conditioners, freezers, dehumidifiers), Mercury Containing Devices (thermostats, barometers, mercury switches and relays), PCB Containing Equipment (PCB ballasts, transformers, capacitors), All Liquids (cleaning solutions, paint and cans, any unidentifiable liquids), Contaminated Lab or Medical Equipment (containing fluid, oil, or mercury), Chemical Waste (oils, powders, chemicals), Asbestos Containing Materials (construction waste, tiles, roofing), Medical or Biohazard Waste (human, animal and plant wastes). Drop Off Location: 705 E 48th St North (near the corner of Benson and 4th). Check in at the front door before bringing your equipment to our drop off door.